On 10 April, at 15:00 CEST, the European Southern Observatory (ESO) invites members of the general public to watch the live webcast of a press conference announcing a groundbreaking result from the Event Horizon Telescope (EHT). The event is organised by the European Commission, the European Research Council, and the EHT. 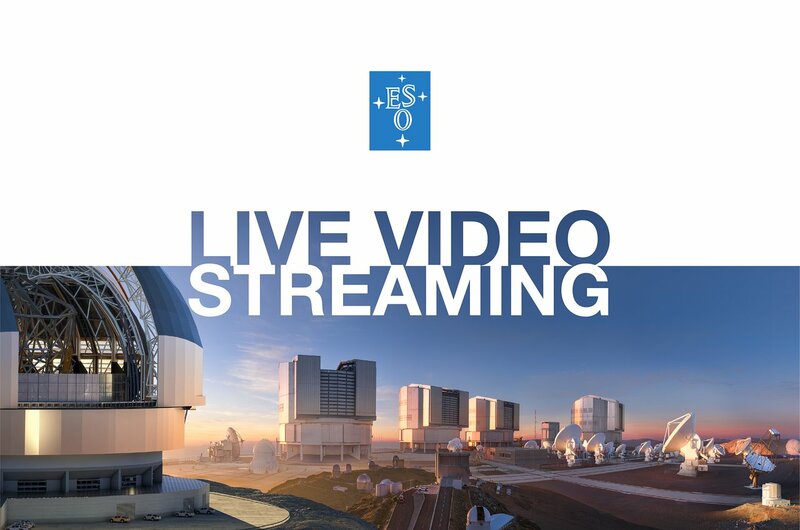 It will be streamed online on the ESO website, by the ERC, and on social media. We will take a few questions from viewers on social media using the hashtag #AskEHTeu . An ESO press release will be issued shortly after the start of the conference. A total of six major press conferences will be held simultaneously around the globe in Belgium (Brussels, English), Chile (Santiago, Spanish), China (Shanghai, Mandarin), Japan (Tokyo, Japanese), Taiwan (Taipei, Mandarin), and the USA (Washington, D.C., English). Starting at 15:07 CEST, a Reddit Ask Science “Ask Me Anything (AMA)” thread will be open. ESO invites members of the general public to submit questions they have about the result and observations on the Reddit thread. At 20:00 CEST, some of the scientists behind this result will begin answering the questions on Reddit.